Understanding where humanity is headed is really painful when one is awakened. And watching the other people’s perceptions headed for “mass collision course” without them being aware of it, feels extremely surreal. It reminds us that we have to remain humble at all time. It is the ego that makes one project false assumptions about what the system is… and is not. Just like other Silicon Valley businesses, Amazon does not get most of its earnings from the online sales but data mining: selling your data to other corporations and allowing them to target their ads. So the more people keep buying stuff, the more the trap gets intricate. That’s the Matrix. Living below one’s means is absolutely necessary. Not to save money, because it has no real value. It never had. We ARE the commodities, and they are after our minds, because if the mind is free, advertisement (aka control) wouldn’t be such a “gold mine”. But Amazon took it up to the next level and now delivering data to government agencies on a “golden platter”. They are only interested in two things: the DNA and the mind, which they hope to farm 24/7, once the brain interface is ready for the market, and it will be relatively cheap. We are getting close to sinking into absolute irrelevance. It no longer is sci-fi… it is here now developing, less than 10 years ahead. 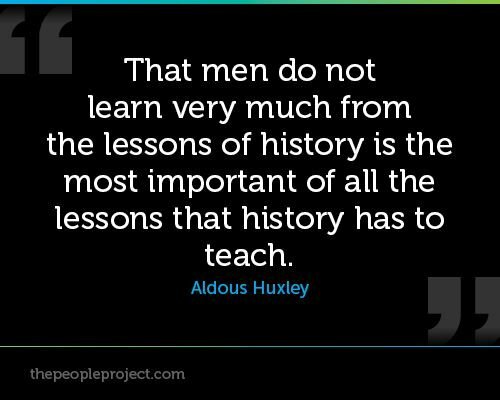 That Huxley quote is very true one hand but on the other is completely biased as the victors always rewrite history. The true history of mankind is very different. As a result humans suffer from amnesia and cannot improve. But knowledge is controlled by “colluding special interests” and their wealth used to remain in power. This alone makes the case for a money-free society. The ultimate distraction is the “money chase”, which is clearly more than ever “the carrot and the stick” in this environment. Paying to stay alive should be regarded as a crime against humanity, because we all now can see where it led society. It is right in our faces. PS: EC do fully support robotics but not self-improving machines. 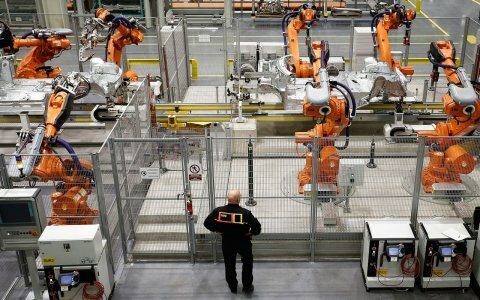 Robots are necessary to help shape the money-free society, and take over all the dirty, dangerous, tedious and repetitive tasks.